ShareVault is a leading Enterprise Virtual Data Room provider with unmatched security even on computers and devices that are outside your IT department's control. 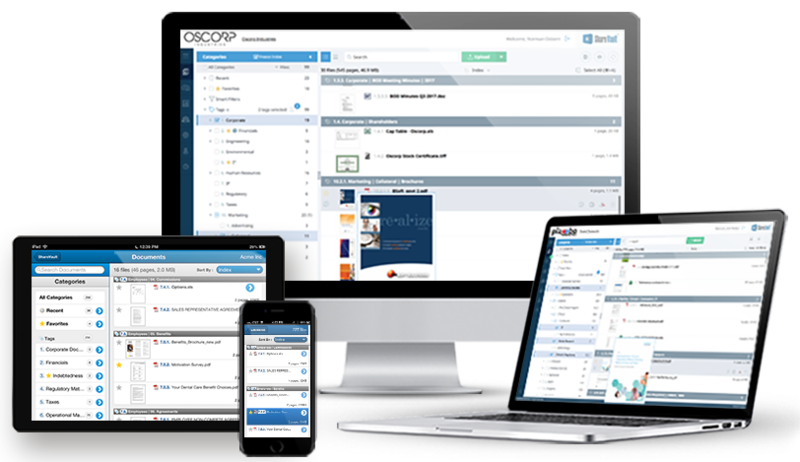 But beyond ultra-secure document sharing tools, we give you organization + presentation tools and document sharing analytics to make you smarter and more in tune with your users and how they interact with your business. We call it sharing intelligence. — Lisa Butters, Chief Operations Officer, Nativis, Inc.
Hierarchical tagging, index auto-numbering, drag-and-drop reordering, smart filters and more. Customized branding, infinite scrolling, zoomable thumbnails, search and more. Plug-in free document viewing, fast scrolling, batch print, batch download, inter-document hyperlinking and more. publishing, no file size limits and more. With a single click, you can revoke a user’s right to open a document, even if it’s already been downloaded. Sharing documents with third parties can be a risky business especially when confidentiality agreements can hold little weight. Keep your documents secure and on a short leash. Enable you to automatically expire access to specific documents, so you can enforce deadlines. By user and group to control who can view, save, print or download which documents. With customizable document security features like the ability to block copy/paste, prevent printing to PDF, disable screenshots / screen sharing, and apply dynamic watermarking.